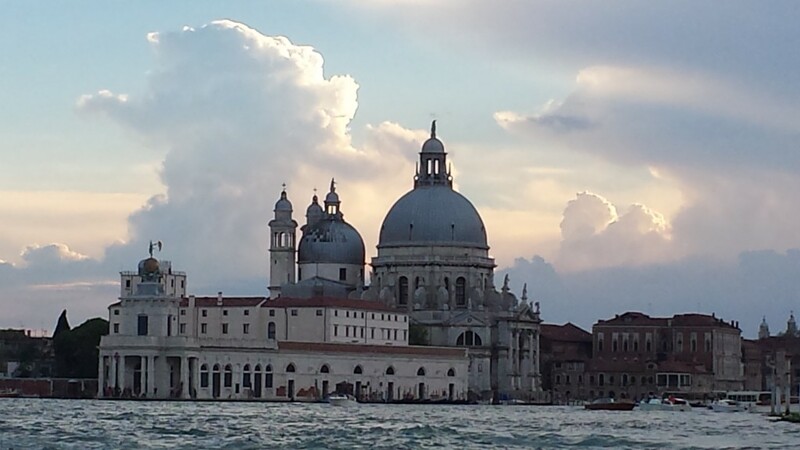 The Basilica di Santa Maria della Salute (Saint Mary of Health) from our gondola. We didn’t make it to Venice (Venizia) on last year’s trip to Italy. But we made it our first stop this year. 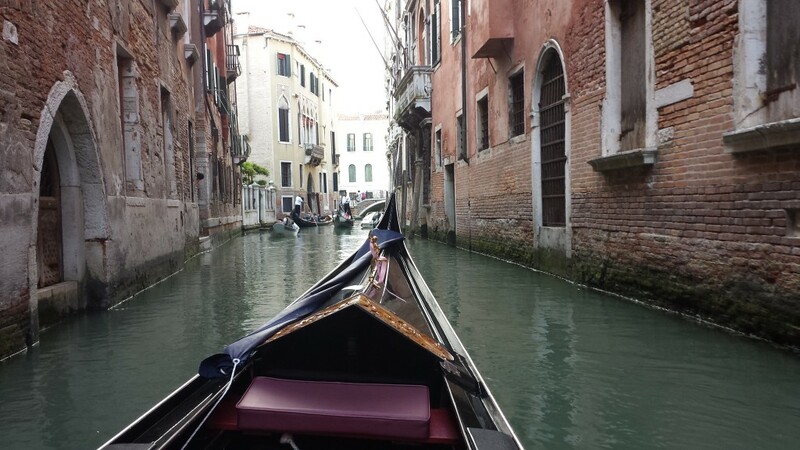 After a nine-hour flight from Washington to Rome and another hour to Venice, plus a six-hour time change, my companion and I were exhausted when we reached Venice. 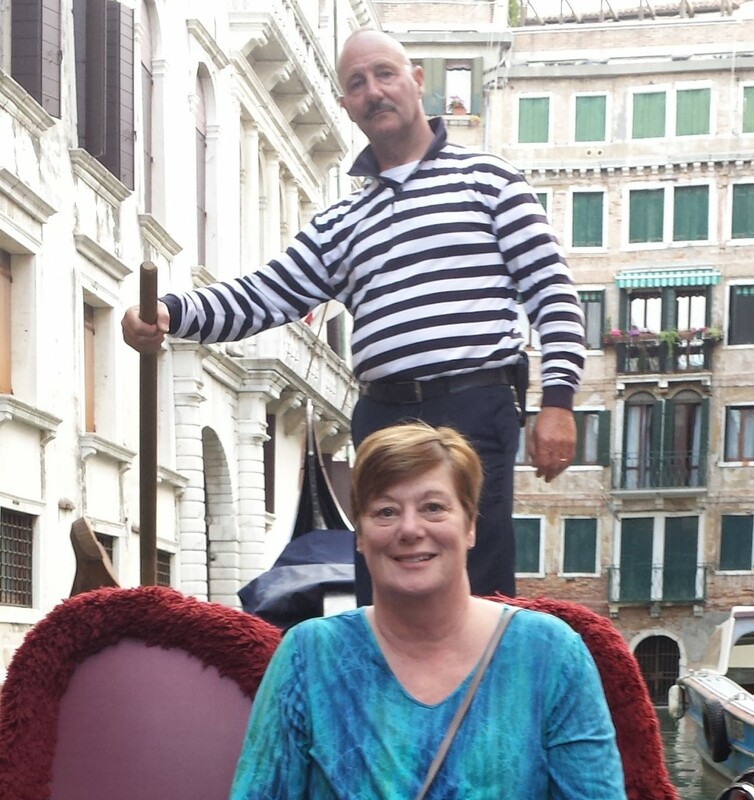 We have two full days of sightseeing here, so we initially thought we’d take it easy on Saturday. 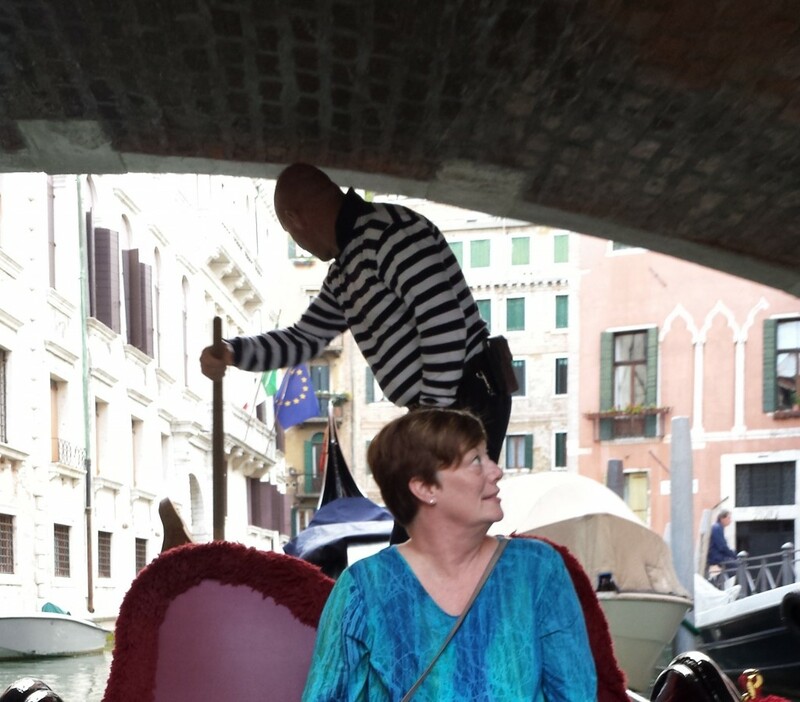 But when singing gondoliers awakened us from a nap, my traveling companion was refreshed and inspired enough to set out in search of an available gondola. As we approached bridge near our hotel, a man named Max asked “gondola?” and 80 euros later, we were sitting in the middle of his boat as Max steered the narrow canals of Venizia. 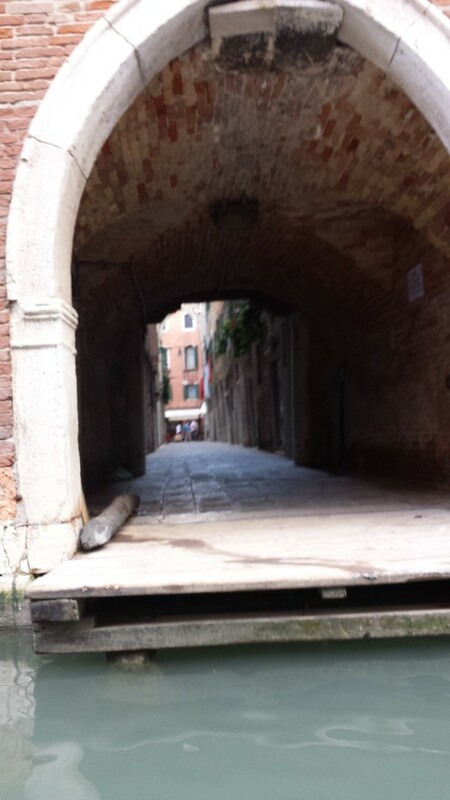 We start our ride through the canals of Venice. My traveling companion and Max. 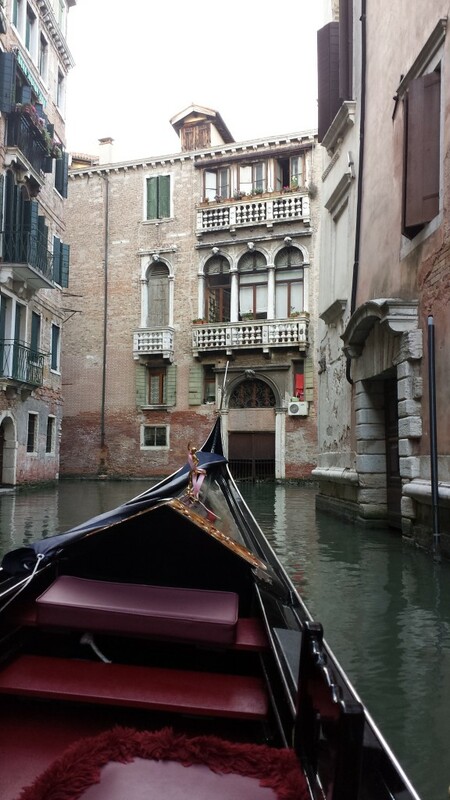 Max explained many of the landmarks as he steered us through the city’s tight canals. 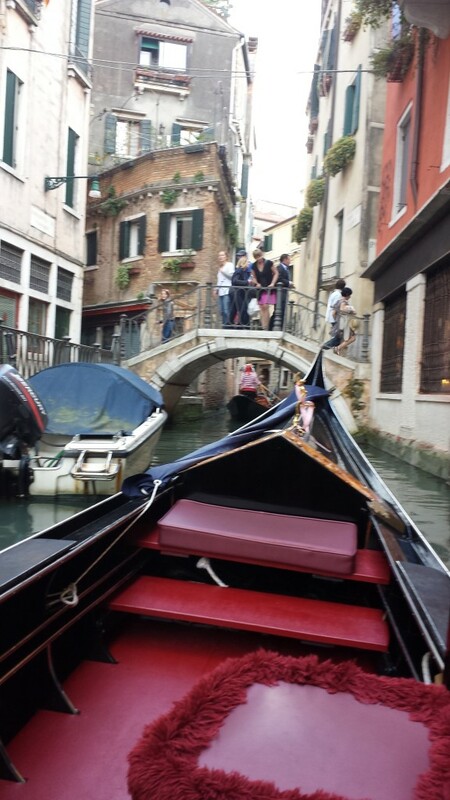 As we approached bridges, people crossing the bridges invariably watched (as we do when we’re crossing bridges). We didn’t bother to count the bridges we went under. Sometimes they came one after the other. Clearance under most bridges was so low that Max had to duck. 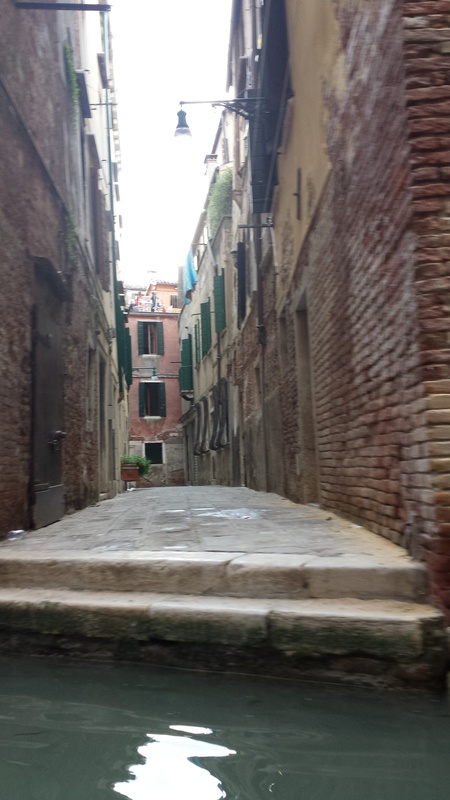 We floated by many corridors so narrow they flashed by too quickly for me to get photos. This one was broad enough for my reaction time. Another corridor I was able to catch. Max told us this was Marco Polo‘s house. 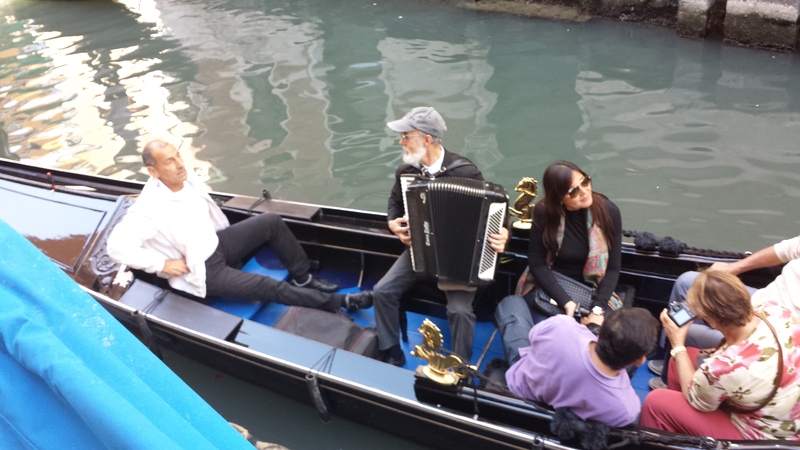 You can hire a gondola with an accordion player. My companion and I preferred Max’s soft humming. 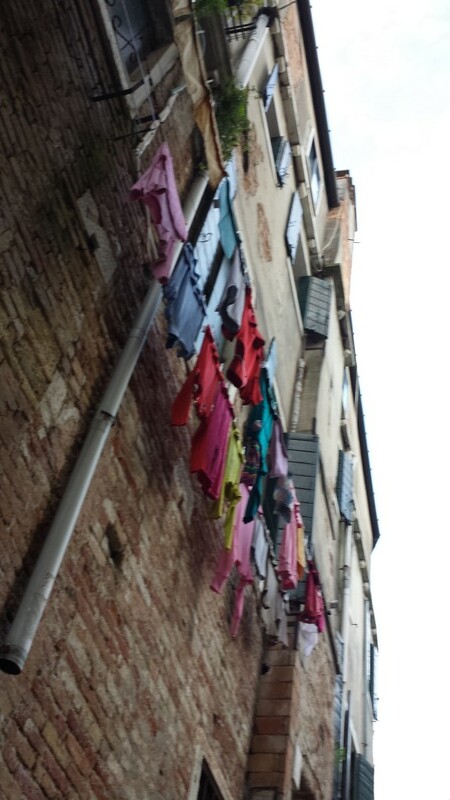 Saturday was laundry day for some homes along the canals. 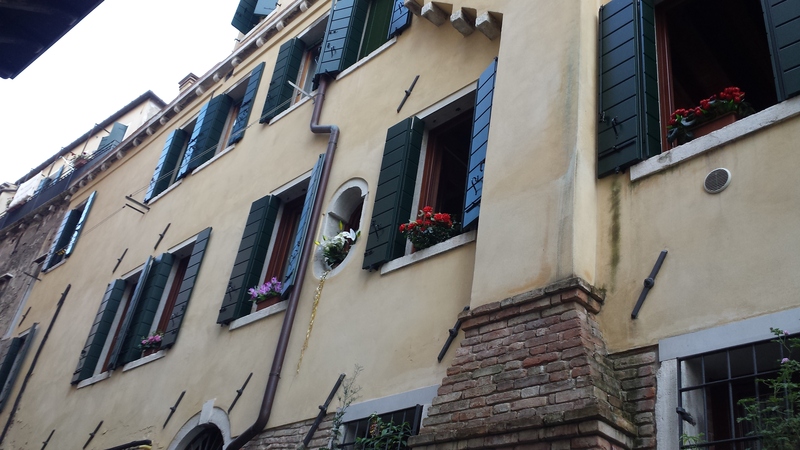 Other homes had flowers blooming in their window boxes. 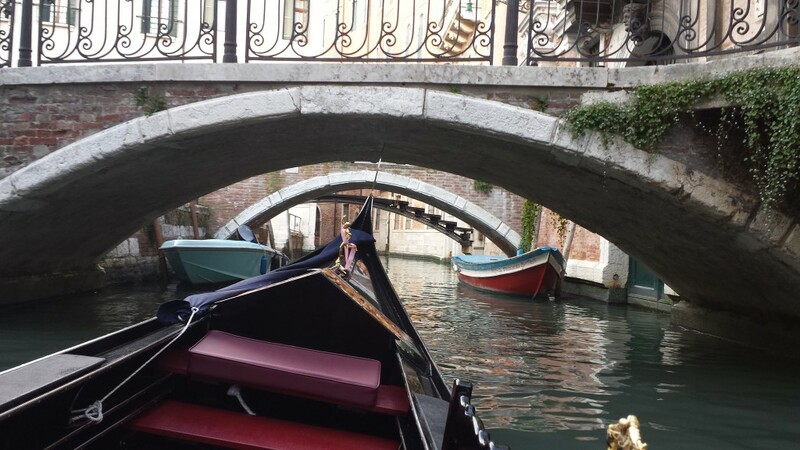 My companion and I enjoyed the charming 1979 movie “A Little Romance,” where Sir Laurence Olivier takes young lovers Diane Lane and Thelonious Bernard on a trip from Paris to Venice, culminating in their kiss as they float under the Bridge of Sighs in a gondola. 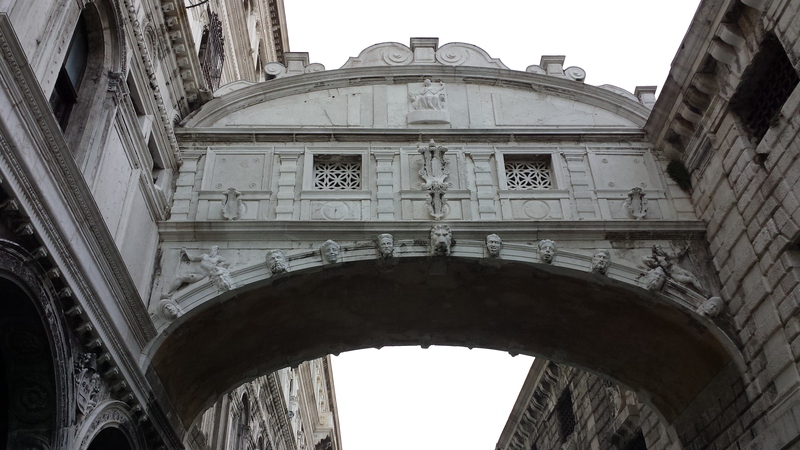 My companion asked Max if he’d take us under the Bridge of Sighs. We kissed. 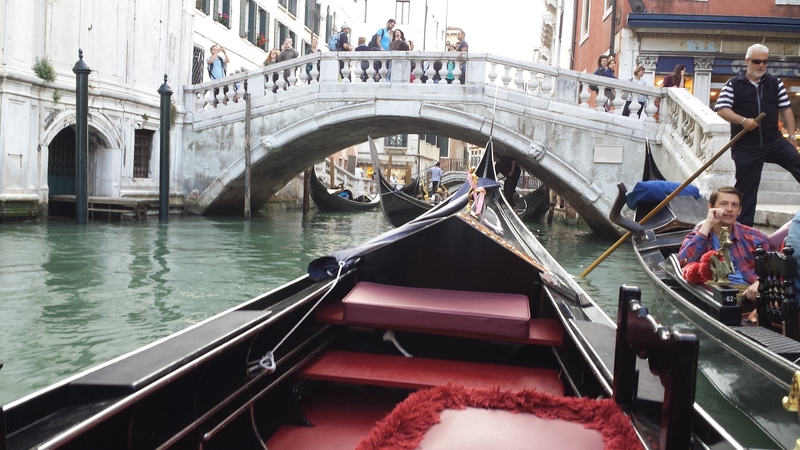 This entry was posted in Europe, Italy and tagged A Little Romance, Bridge of Sighs, gondola, Venice by stevebuttry. Bookmark the permalink.